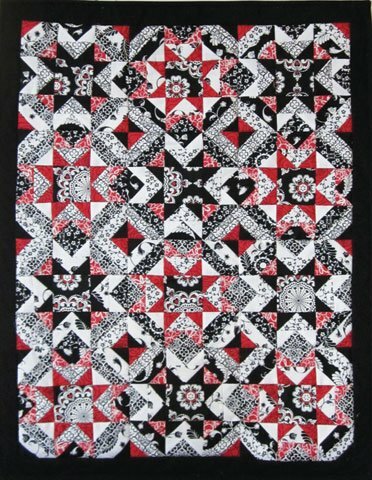 Pieced Pattern shows how to make multiple projects including: place mats, table runner and matching quilt. All the projects are made from black and white Fat Quarters and plain black fabric. This is a very Fat Quarter Friendly pattern!